MSC e Costa Cruises these are just some of the cruise lines operating in the beautiful Split. We usually stop for around 6 hours; a time that can be fully exploited for the rather limited visit of the historical center. As soon as you have landed, you will immediately be in the center. No means will be needed to get around because the Cruise Terminal is right in the heart of the city. A short walk, and you will be between beautiful buildings and beautiful squares. Ready to start your short visit Split. With the little time available, you will certainly have the opportunity to make a fairly accurate visit to the historic center, enough. It is certainly better to see one thing .... for good. 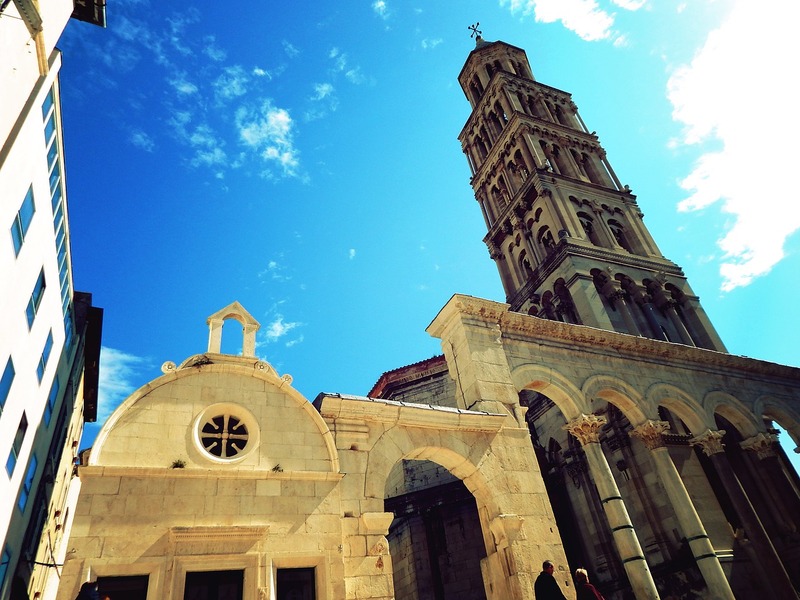 Split is a city that will immediately impress you with its character and beauty. You will find well evident and above all, well preserved traces of the past. Of course, seeing a lot of stalls right under the walls of the Roman era makes a certain effect; do not worry: this is also Split. Here, you will find a bit of everything; from souvenirs, local products and even (many) sellers of counterfeit goods !! 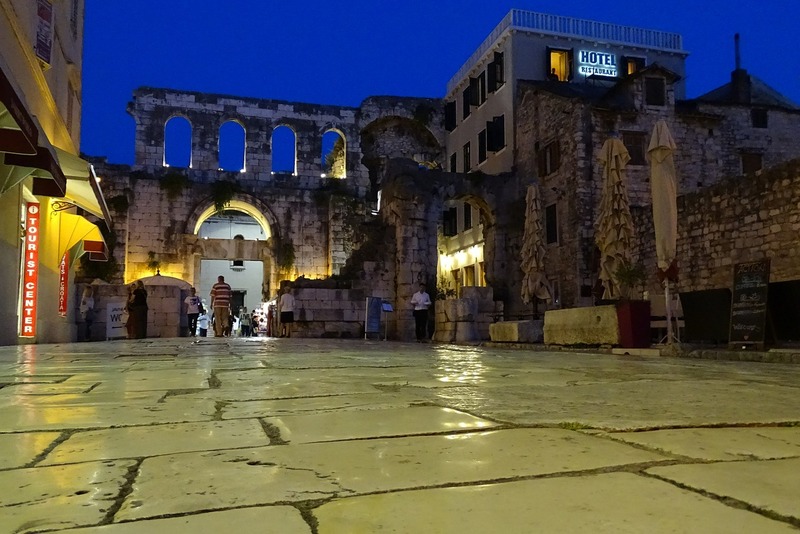 Walking through the narrow alleys of the historical center, the "strong piece" of this city is immediately evident: the Diocletian's Palace; it is an impressive architectural complex built by the emperor Diocletian, most likely between the 293 and the 305, in order to make it their home. A sort of fortified villa, declared a World Heritage Site by UNESCO; today, it is one of the most popular monuments in all of Croatia. The palace with its walls coincides with the original nucleus of the historical center of the city. It is a real jewel and one of the best preserved Roman monuments on the planet. In the original building, the Palace was directly overlooking the sea and included an imperial residence, various temples and a mausoleum. We find ourselves inside, simply walking through the alleys of the historic center. Today, however, the four doors remain, one on each side; the door aura, Argentea iron Aenea. All the surrounding area has always been inhabited, thus becoming the heart of modern Split. For those who love sweets, you can stop and try the almond cake; or, the delicious rožata (creme caramel prepared with eggs), and Dalmatian pancakes, prepared with flour, brandy and raisins. 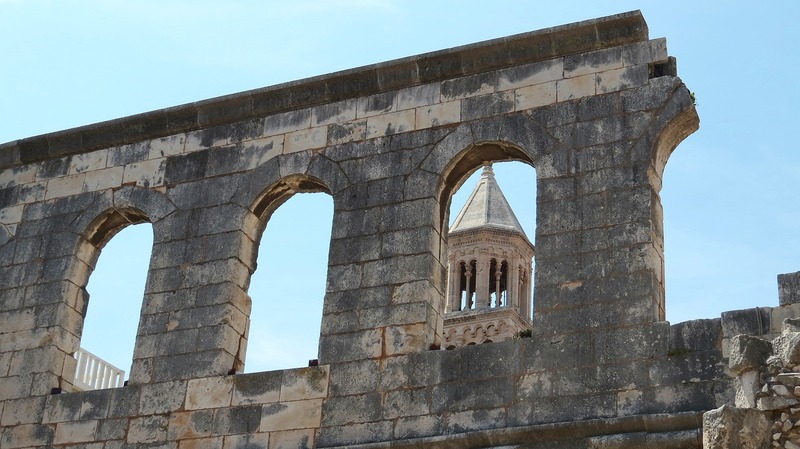 Do not miss Cathedral of Saint Domnius (St-Duje), which rises in the oldest building: the mausoleum of the Roman emperor Diocletian. Beautiful Campanile, which is recommended to climb the stairs leading to the top. From the top of its 57 meters, you can see a wonderful view of the whole city! Do not miss the Tesoro the cathedral that houses a wonderful collection of ancient artifacts, paintings and manuscripts, and ecclesiastical clothes of the fourteenth century. Open from Monday to Saturday from 08: 00 to 19: 00 and Sundays and holidays; the admission ticket costs 15KN. For those wishing to see also the Temple of Jupiter and Crypt, there is a cumulative ticket for all the monuments at the cost of 35KN. The temple, whose facade has been renovated several times, was originally located right in front of the Cathedral through the Peristillio. This is the beautiful central square of the Palace around which once stood temples; led to the royal apartments. Thanks to its beauty and its acoustics, it is often the scene of numerous opera concerts. You can sit at one of the cafes, to admire the beauty of this place. 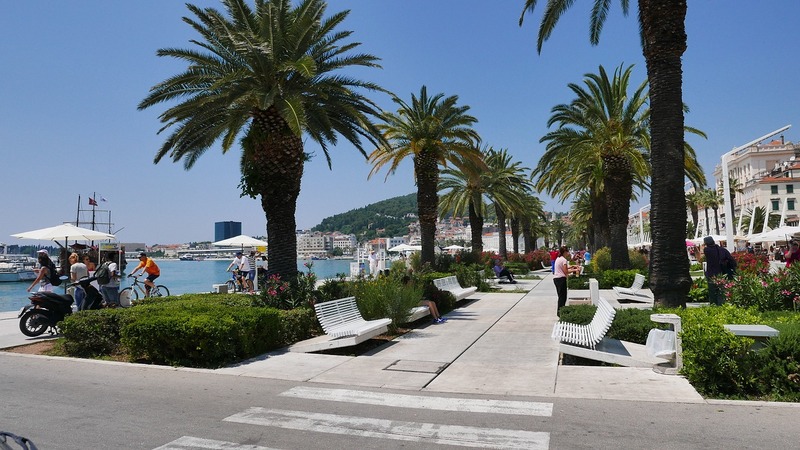 Before returning to the ship, stop by Split ice cream shop, a few minutes from the Cathedral, to try a delicious ice cream; the choice of tastes is not very varied, but the product is of excellent quality. It is located at Obala Hrvatskog narotnog prepodova, just before the Port. A greedy way to close the short visit Split. Alternatively, you can stop at one of the many tables on the Riva, to sip a coffee, before returning to the ship.